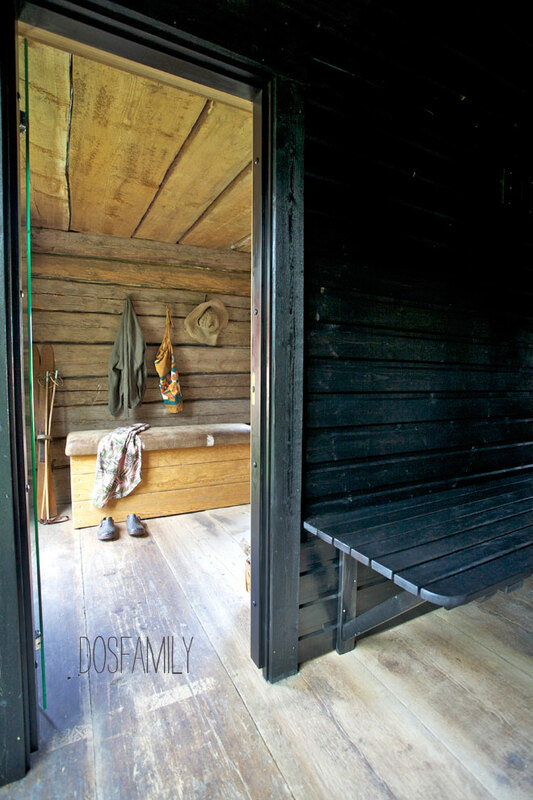 I built my sauna in a house from 1824 that is standing on our grounds in Dalarna. It was a lot of hard work all this past summer but I’m so pleased with how it all turned out! Let me take you on a tour. The bought 3 windows really cheap on a net auction. 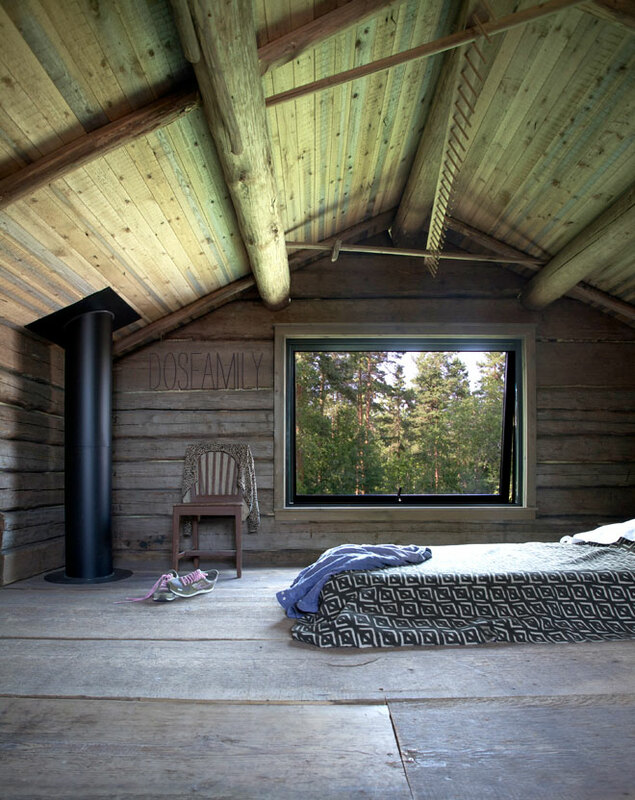 I only needed two but since I had all of them I made use of them by making two walls in the sauna made out of windows. Like this a very small space now feels very airy. The third one is place on the upper level. Where we now also have extra sleeping quarters! 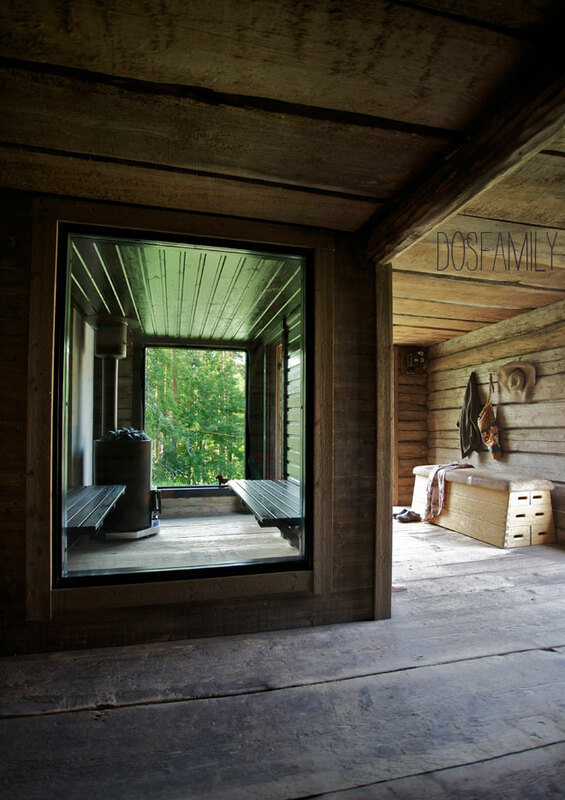 I love taking a sauna but never liked the pine feel of most of the saunas out there. Now there is a new kind of paint – made for saunas. I had to paint like 5 times to get it black like this but I love how it turned out. It goes so well with the 200 years old floorboards and walls. Everything that is painted was built from new wood – I mean we made two new walls and the benches plus isolation on the ceiling. 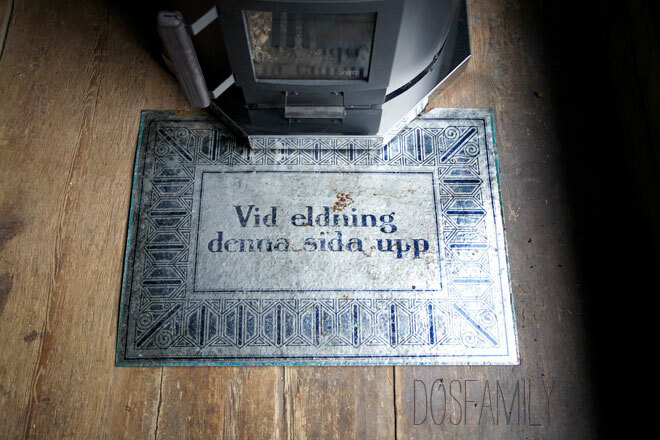 The stove is from Bastubutiken. This spark protection is an old one we found in the main house. If you turn it – there is an old painting but you can’t really tell. So when they didn’t use the stove the showed the painting just to turn it around when the fire was on! I bought the old gymnastic horse bench (?) on an auction. I think it found it’s place now. The new walls I painted with vinegar and Tea. Now it matches the old feeling of the house. Watch me make this great paint blend – here. The new wood comes from Bergkvist i Insjön. 200 years of patina on these planks! The upper level also got a huge window. Since the ground is at different levels outside – it kind of feels like being in middle of the forest. 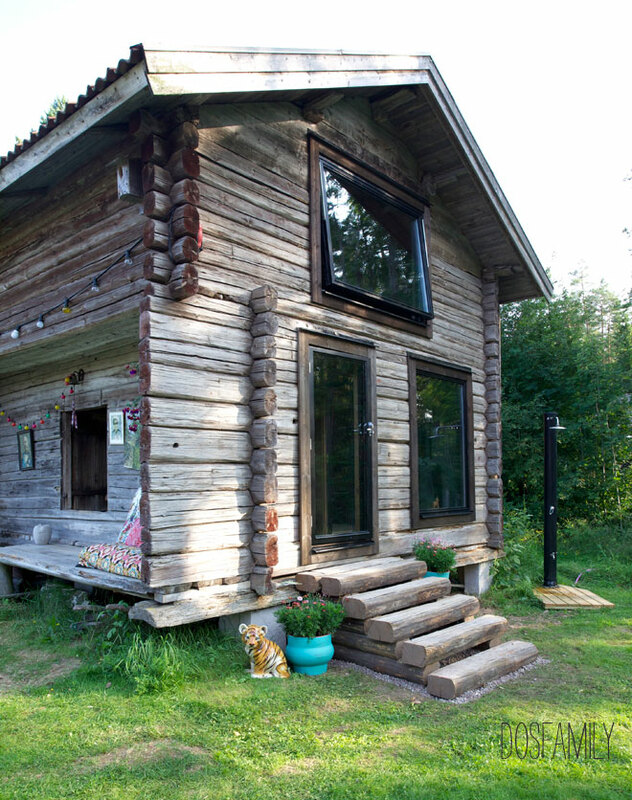 It’s only from the forest that you can see the change of the house. From the village and our garden the house looks just the same. I also managed to build a wood shed so you are a bit protected when you take a shower. The shower from Dermerx is also heated by the sun and powered with a garden hose. I built the stairs outside with the timber that was taken out when the windows where put in! 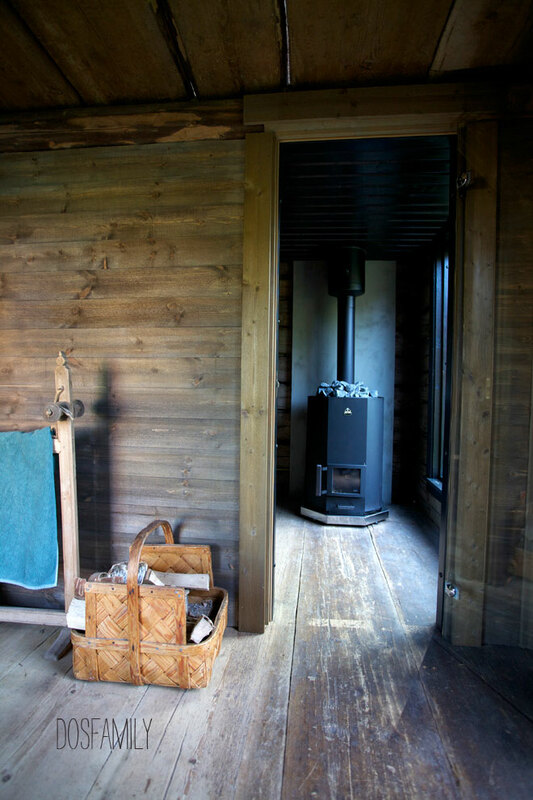 Do you want some more info on how to build and paint and make the sauna – look at this pdf from a job a made about it in Aftonbladet. Or just let me know- I can make another post about it! 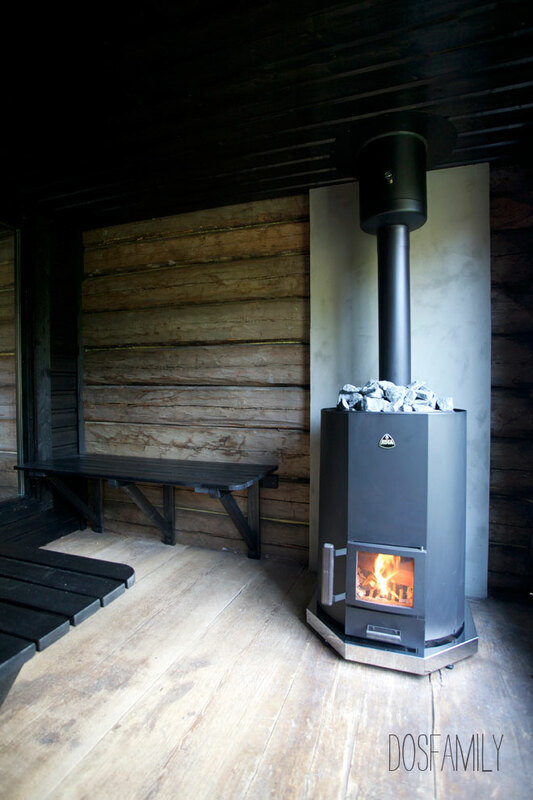 I had fantastic help from Jonas the builder Skarnfeldt – JSB Bygg & Bengt Kajgård who helped me with the chimney. If you need some help in Dalarna then you know who to call!